We understand that covering your short-term expenses, avoiding unmanageable medical debts and making up for not being able to work are major concerns. Rightly so! At Carluzzo Rochkind & Smith, P.C., we help clients in Manassas, Prince William, Manassas Park, Gainesville, Haymarket, Woodbridge, Lake Ridge, Dumfries, Bristow, Warrenton, Centreville, Fairfax, Stafford, Chantilly, Leesburg, Ashburn, Sterling, Herndon, Reston, Alexandria, Annandale, Arlington, and throughout Northern Virginia bridge the gap while their legal case is pending. It might be tempting to accept an initial settlement offer from an insurance company. It seems that your expenses will be covered immediately, and the ordeal will be over. Not true! You will be passing up substantial amounts of the financial compensation that you deserve for your injuries and damages if you accept the insurance company’s offer before speaking with an experienced Virginia personal injury lawyer who can help you understand your full legal and financial options. If you have MedPay insurance or personal injury protection (PIP) on your auto insurance coverage, this can be accessed right away to cover medical expenses, lost wages and other damages. Virginia permits you to stack your medical benefits insurance (MedPay), therefore enabling you to increase the amount of your recovery. Your uninsured/underinsured motorist (UM/UIM) insurance coverage may be accessed to cover expenses that the other driver’s insurance will not cover upfront. Once your auto insurance policy is depleted, your health insurance may be accessed to cover medical expenses. Additionally, we will mediate with institutions and bill collectors to keep them up to date on the progress of your legal case in an effort to keep them from harassing you about payments. We will be the point of contact for all financial institutions, insurance companies and others involved in your legal action for accident compensation. We will also deal with your own health insurance company that will try not to pay your bills, claiming that another third party is responsible. In most instances under Virginia law, this is incorrect. After all, if the car accident wasn’t your fault, why should you take on additional hardship? We’ll help you manage bill payments, preventing extra charges/fees. We’ll write letters to creditors on your behalf. If creditors get aggressive, we’ll handle them and negotiate in your best interests. Our goal is to maximize the compensation that you receive throughout the legal process and to secure a settlement that will position you for a stable, comfortable future. Schedule a free initial consultation with one of our experienced attorneys in Manassas today. 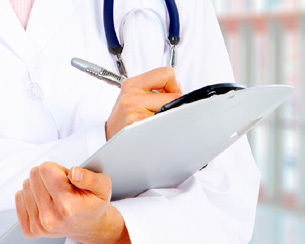 Medical bills and lost wages will be our concern when we take on your case. Our work on your behalf will help you to focus on recovery. Please contact us by email or call us at 703-361-0776. We handle all accident cases on a contingency fee basis.